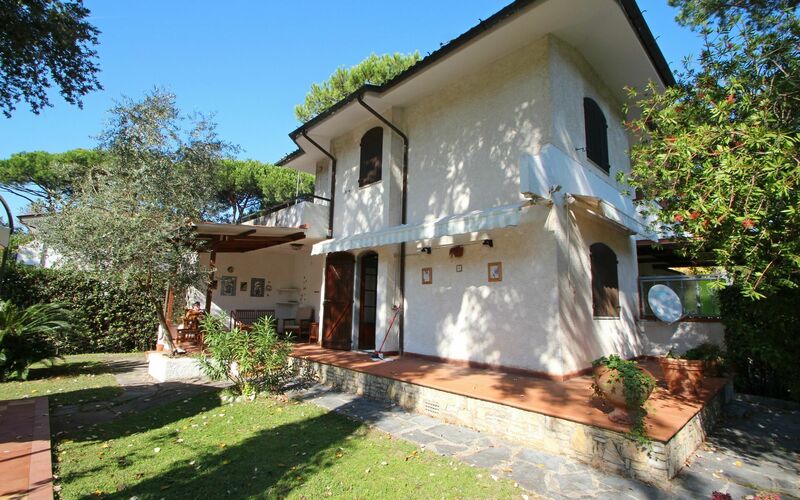 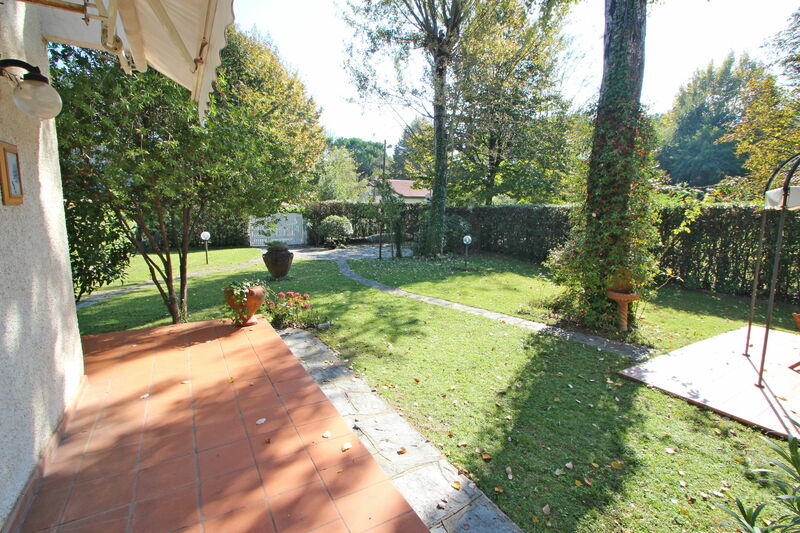 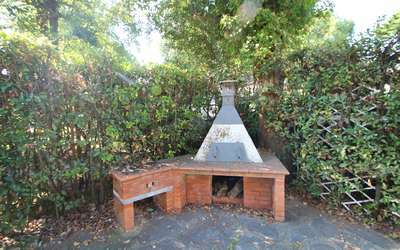 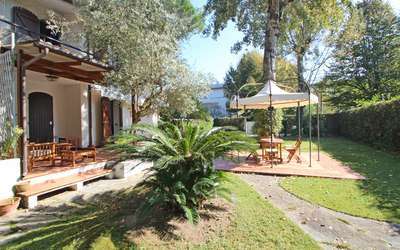 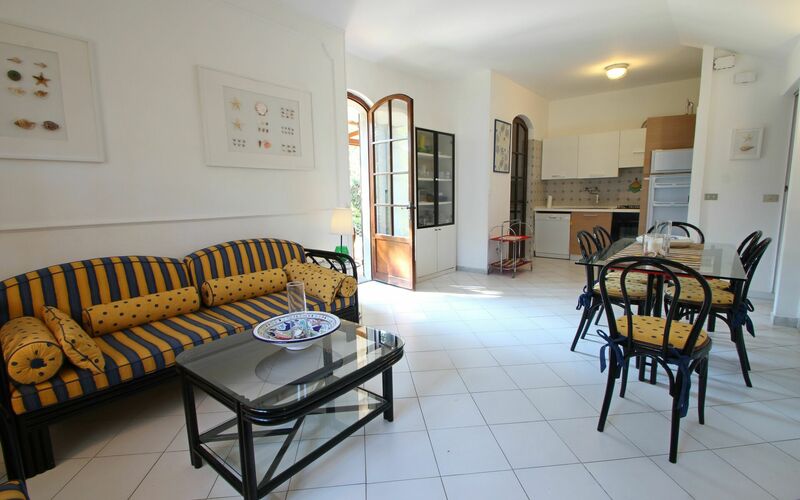 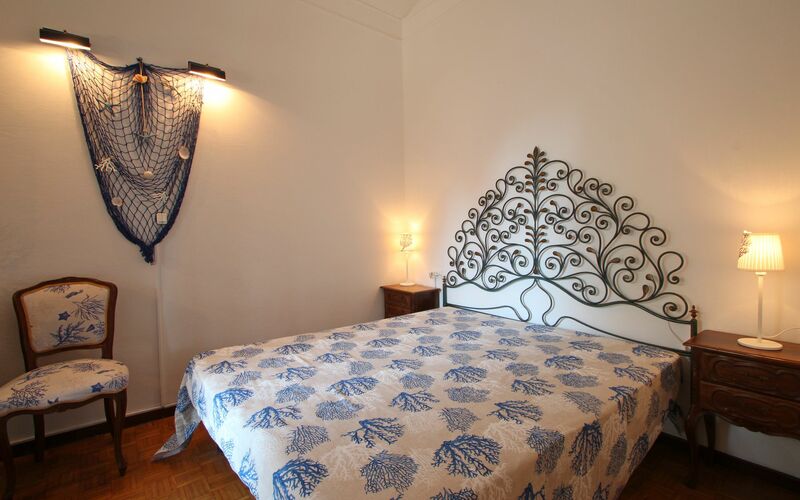 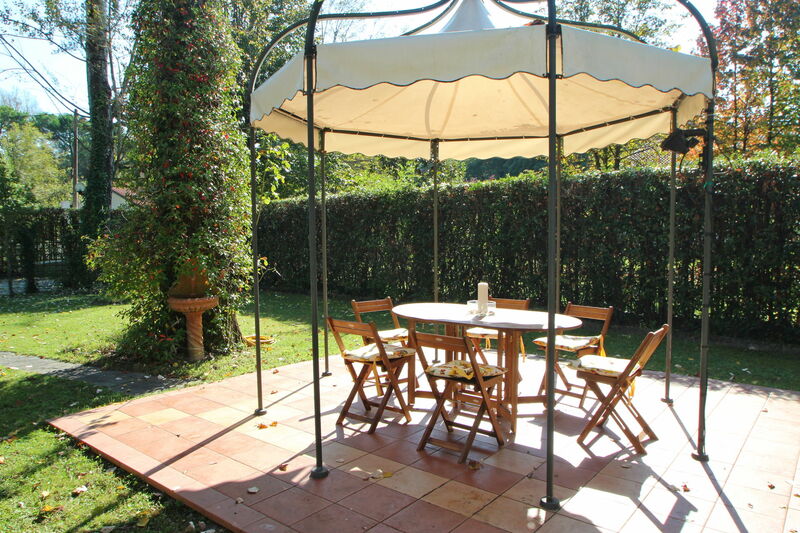 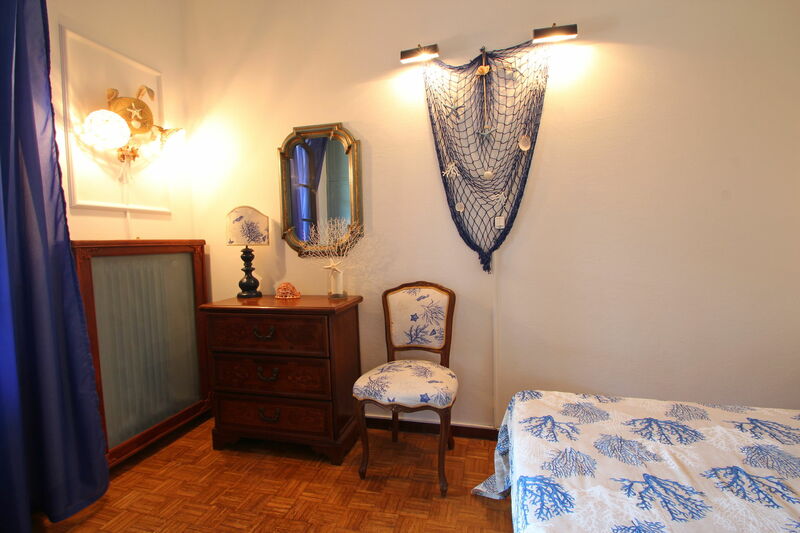 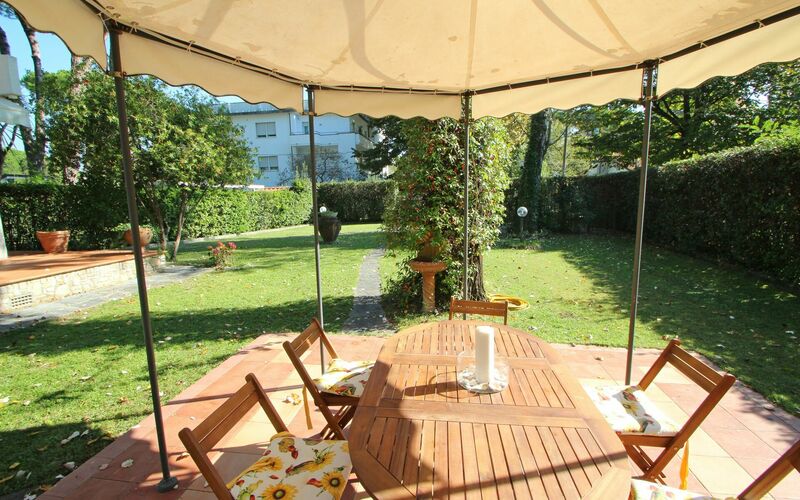 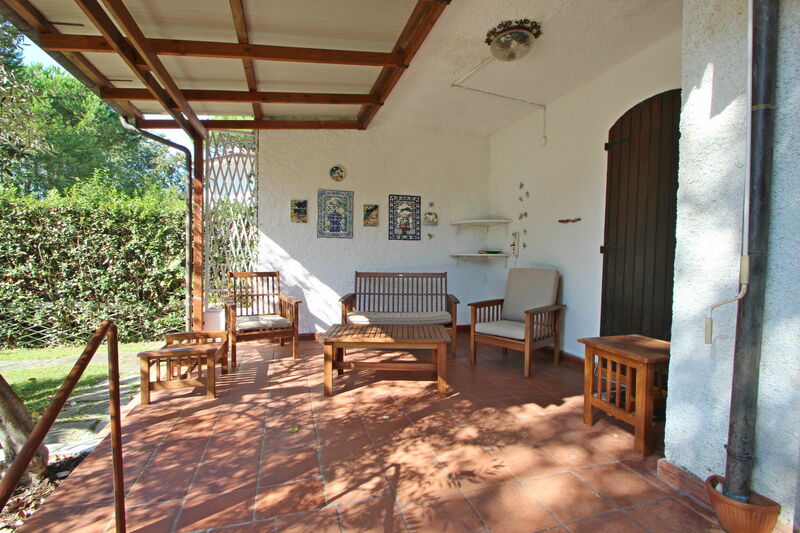 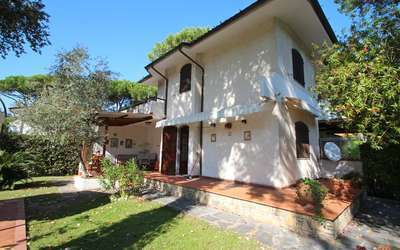 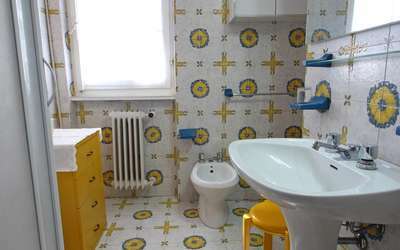 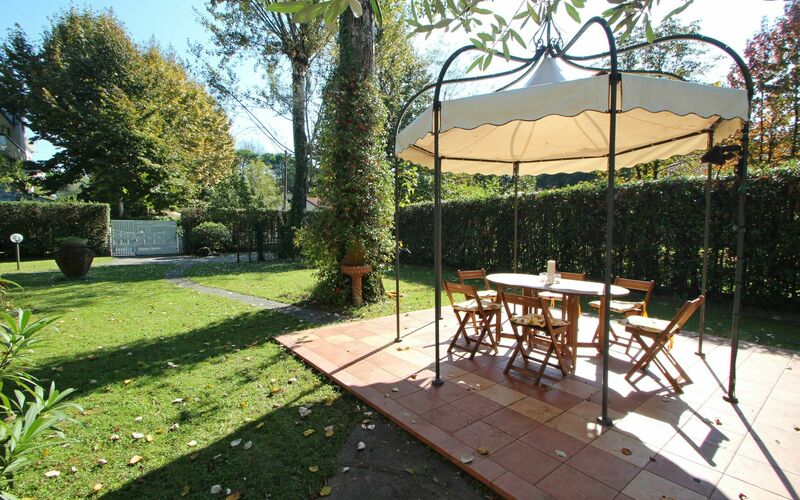 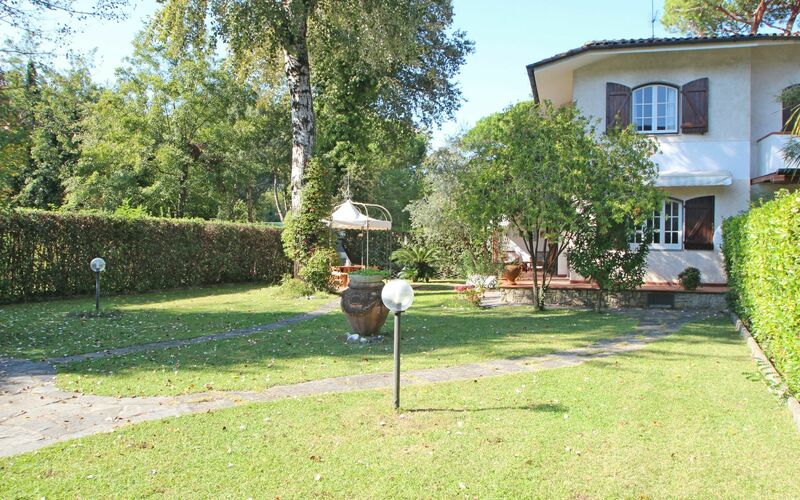 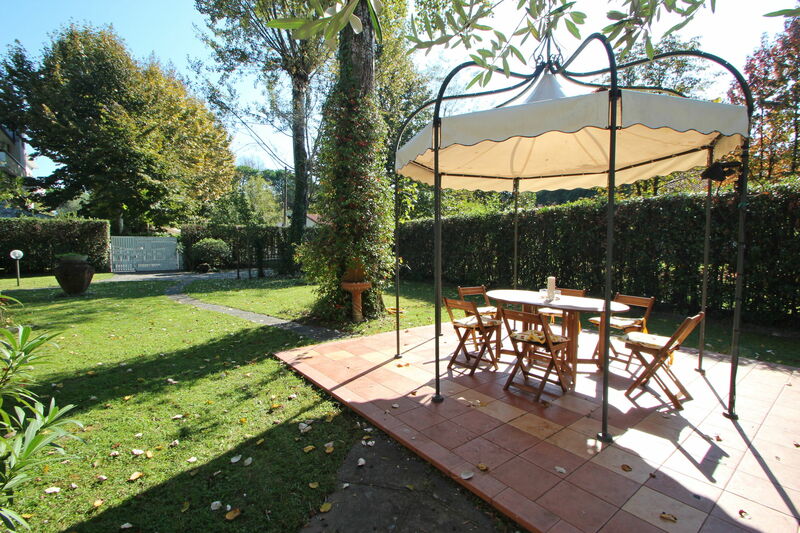 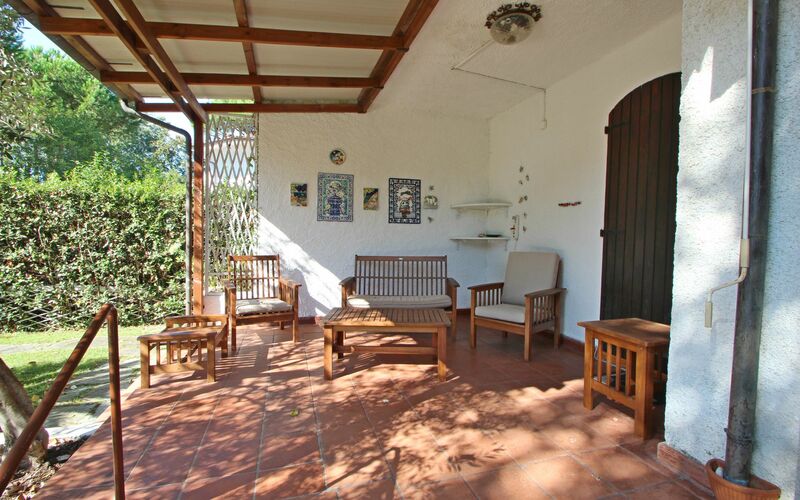 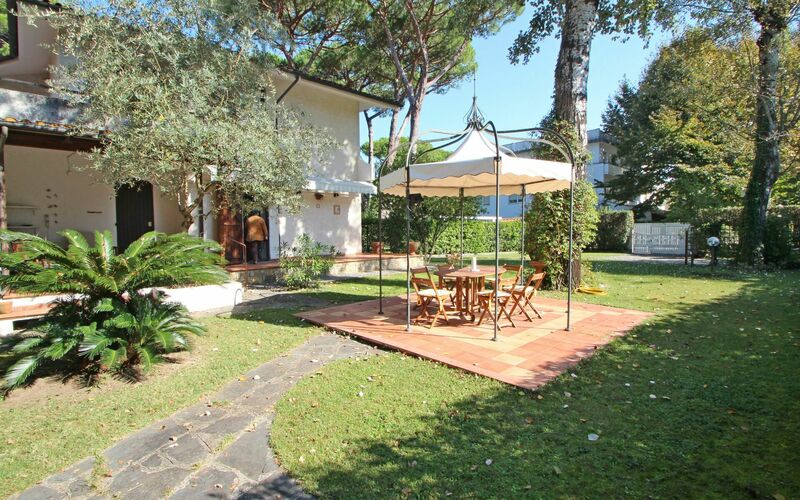 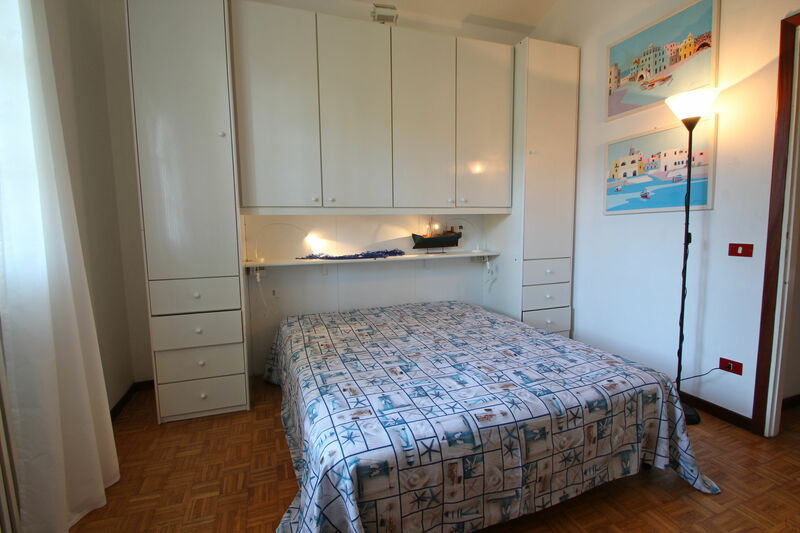 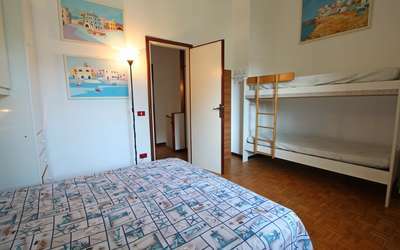 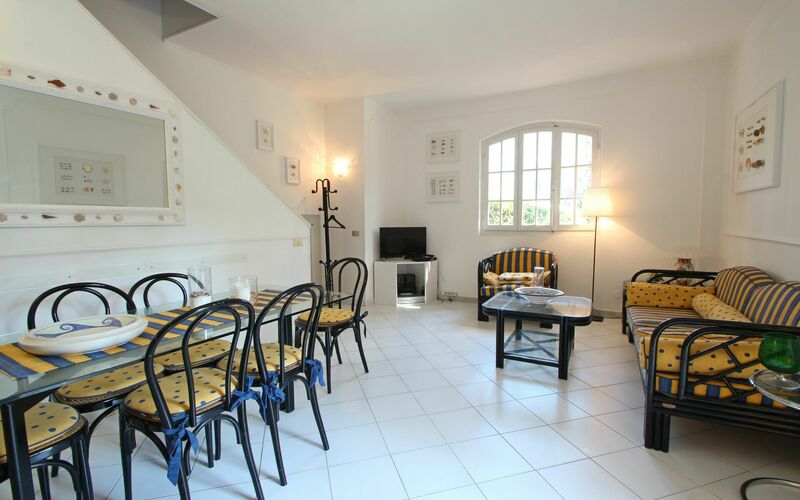 Holiday Home in Poveromo (Marina di Massa) for 6 persons with private garden at 650 Meters from the sea. 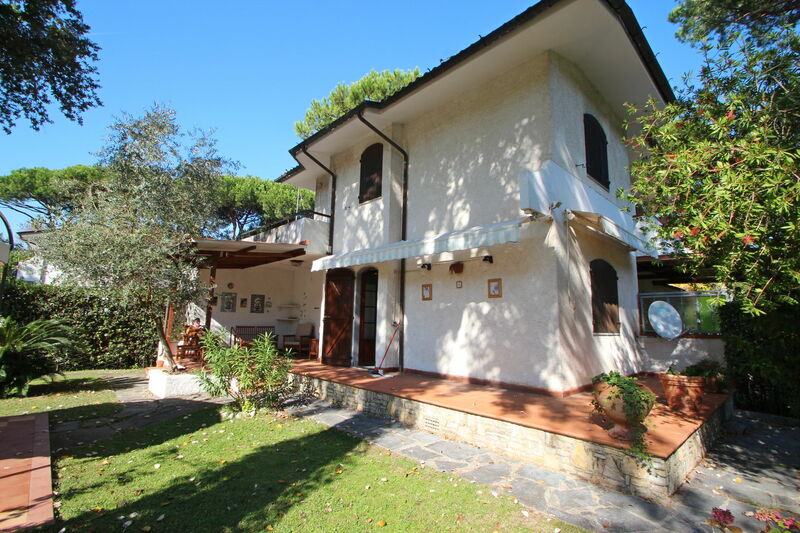 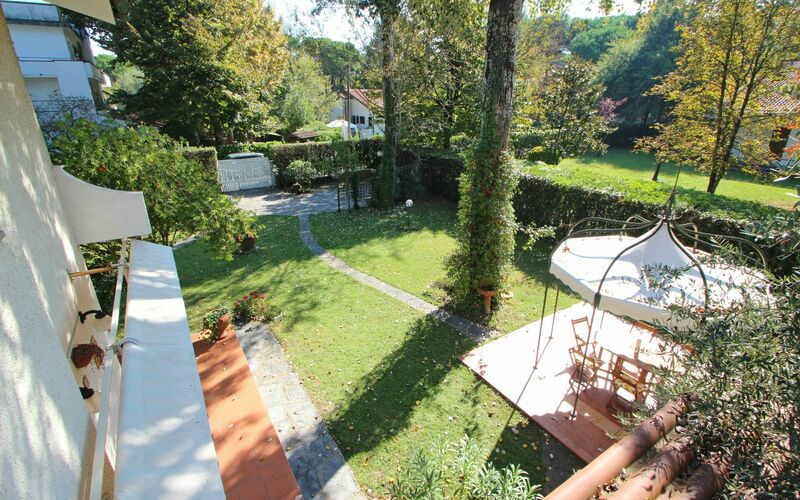 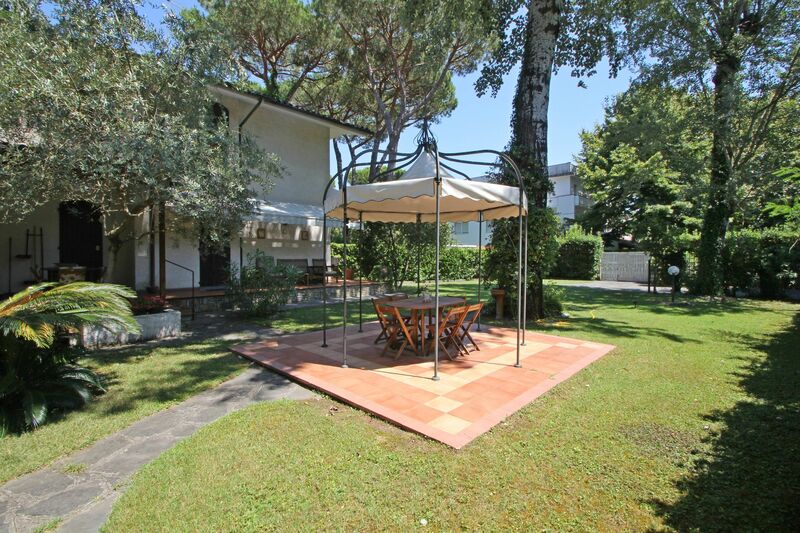 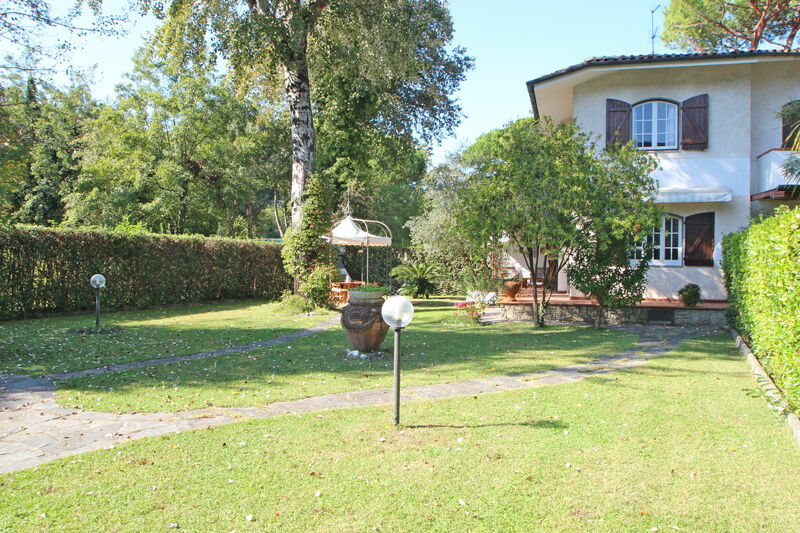 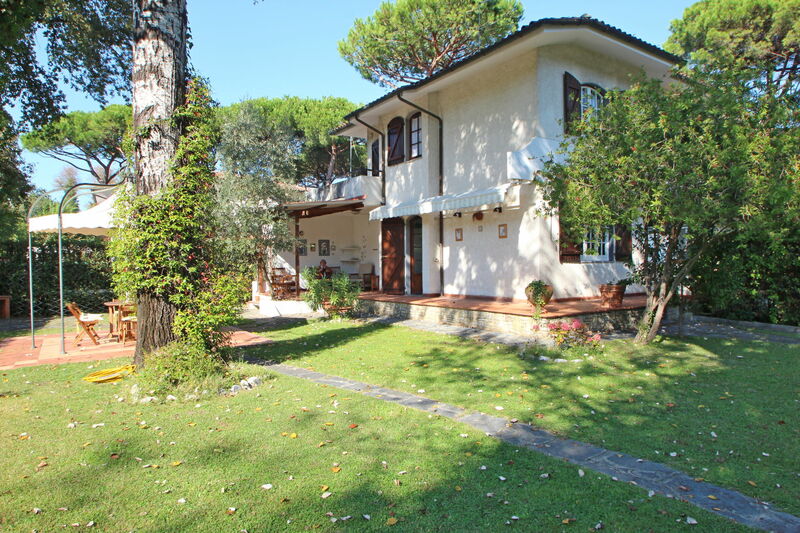 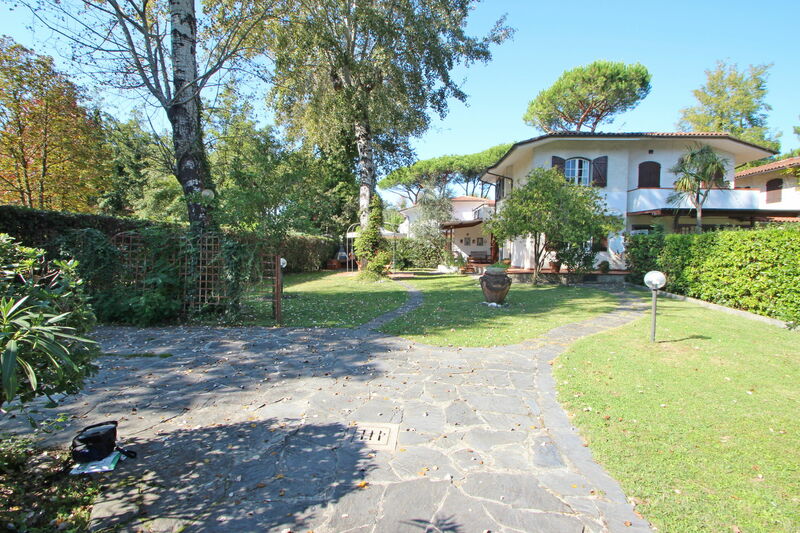 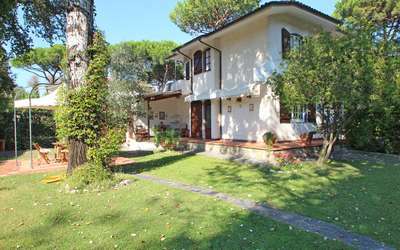 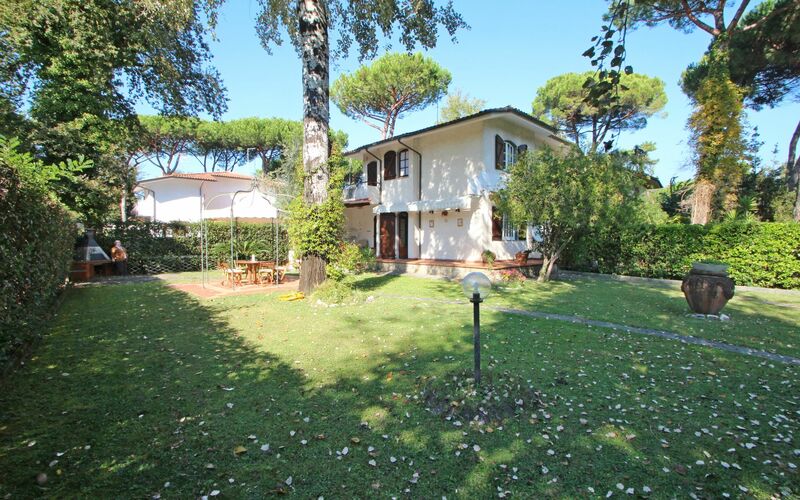 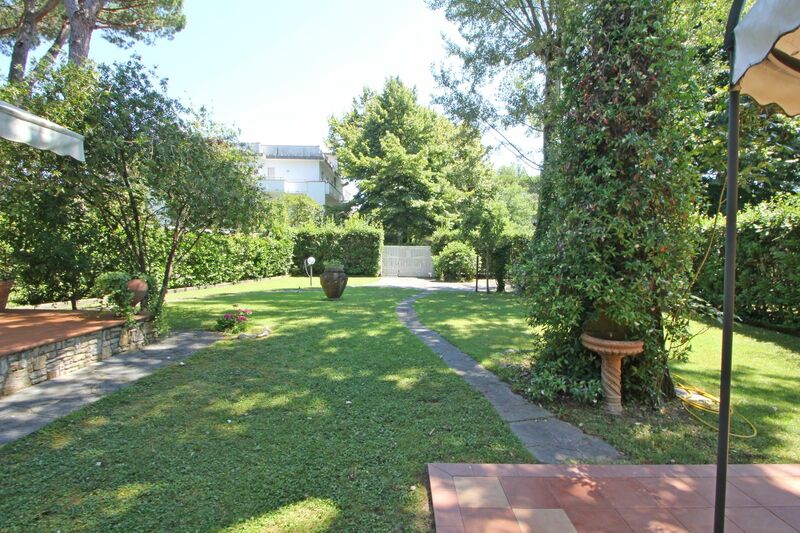 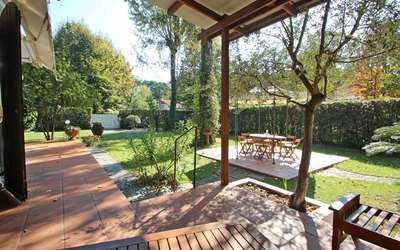 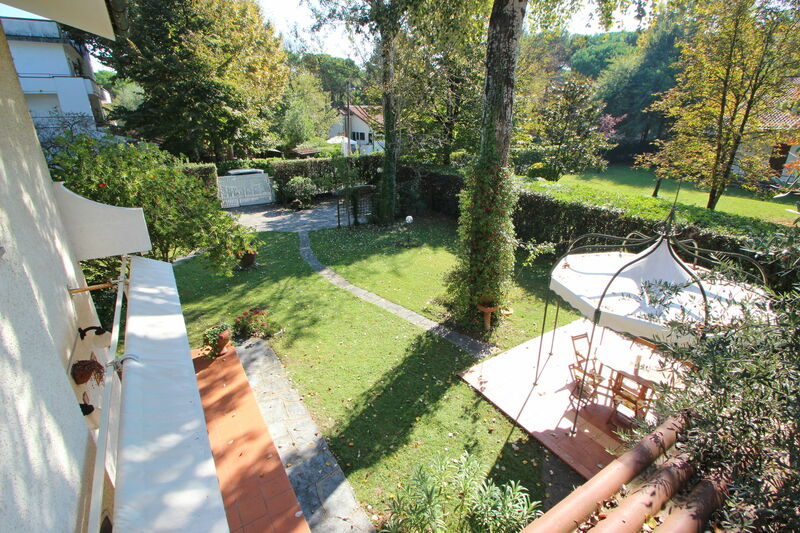 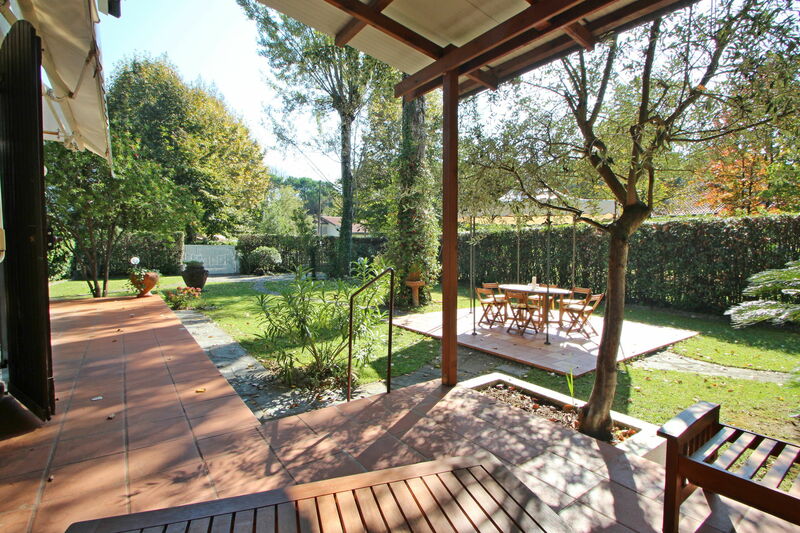 This semi-detached house is immersed in a green area of the Versilia coast called Poveromo with the sea accessible by foot or by bicycle. 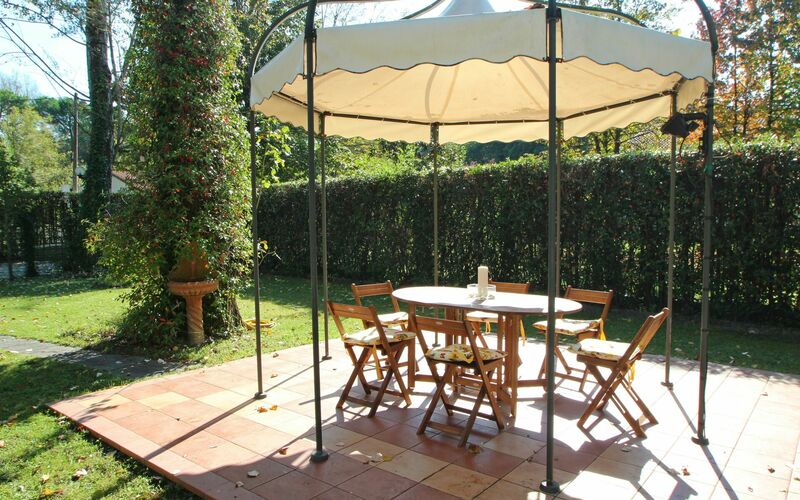 The fenced garden is fully equipped with 2/3 parking spaces, a beautiful gazebo with table and chairs and a small relaxing corner with an outdoor seating area. Everything is surrounded by vegetation that gives you freshness during the summer. A masonry barbecue also allows you to prepare grilled dishes. The exterior will be periodically cared by a gardener. 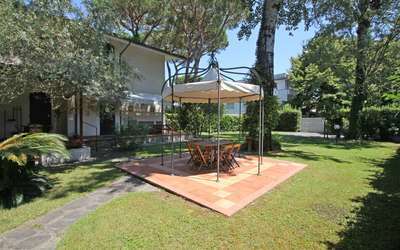 In front of the house there is a hotel and around several houses lived during the summer. 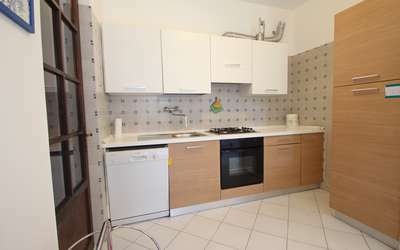 Open Sapce area with kitchen: 4 cooking fires, oven, dishwasher, fridge/freezer, coffee machine. 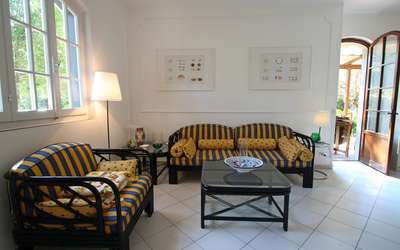 Living area with sofa, 2 armchairs and Sat TV. 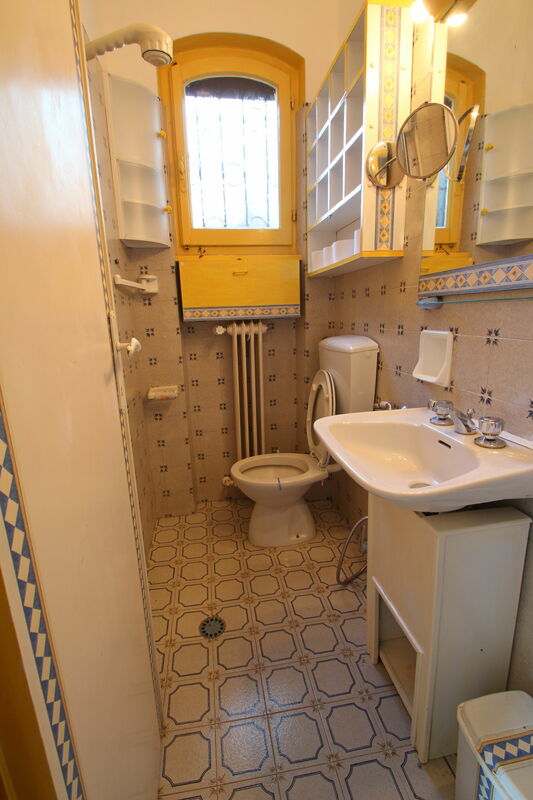 Next to the kitchen is a small WC. 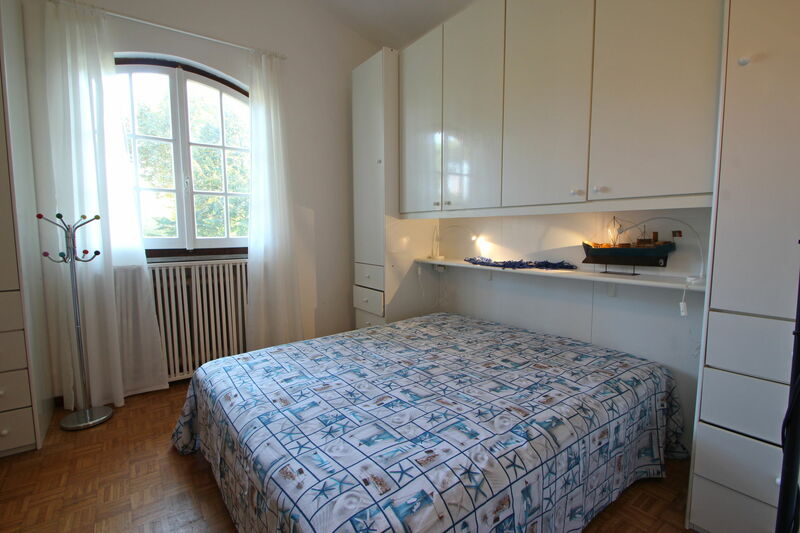 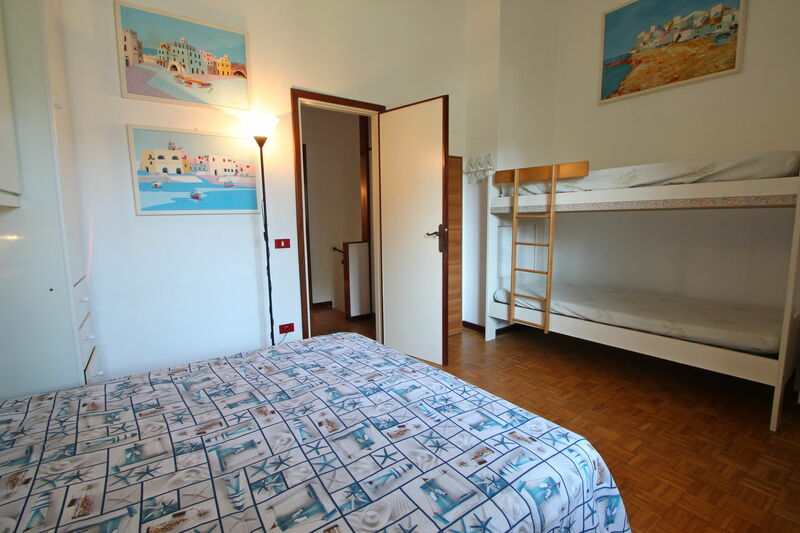 Double bedroom with private terrace. 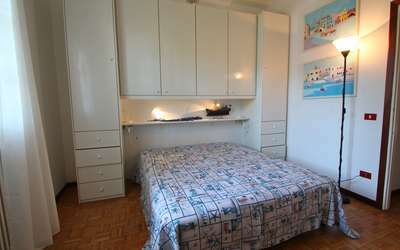 Double bedroom with additional bunk bed. 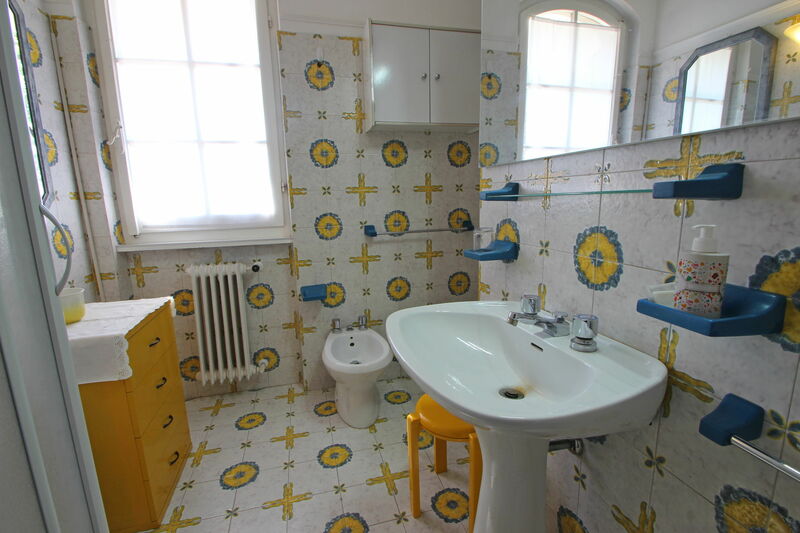 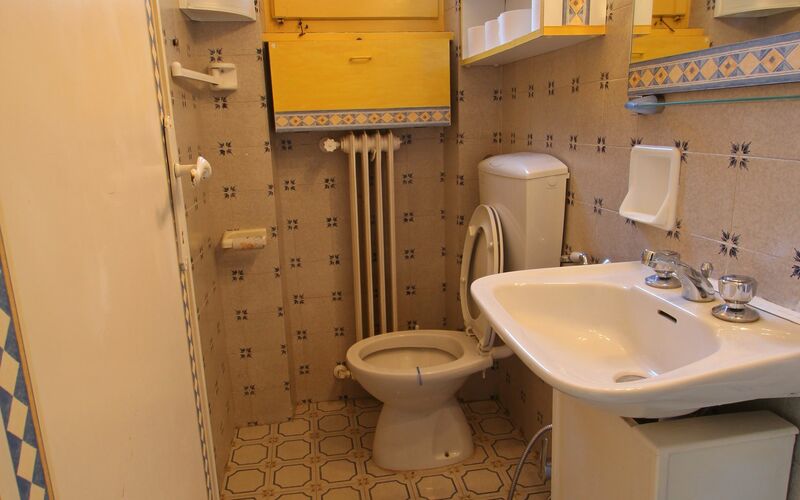 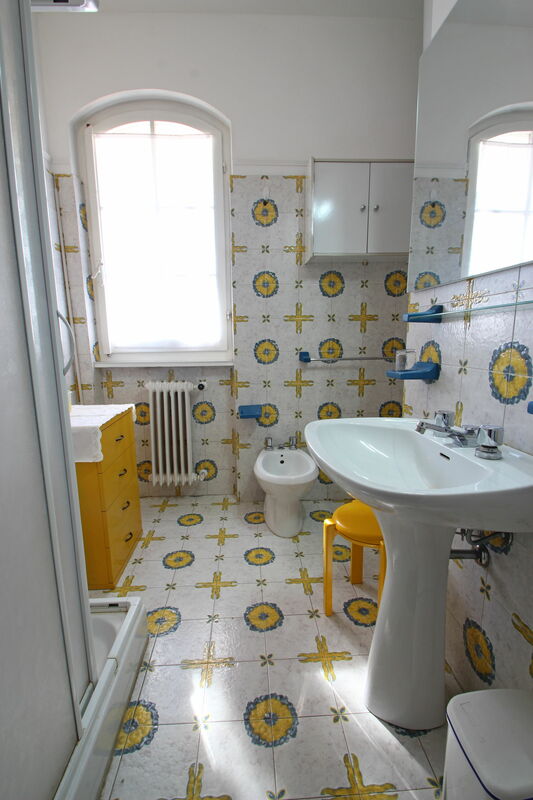 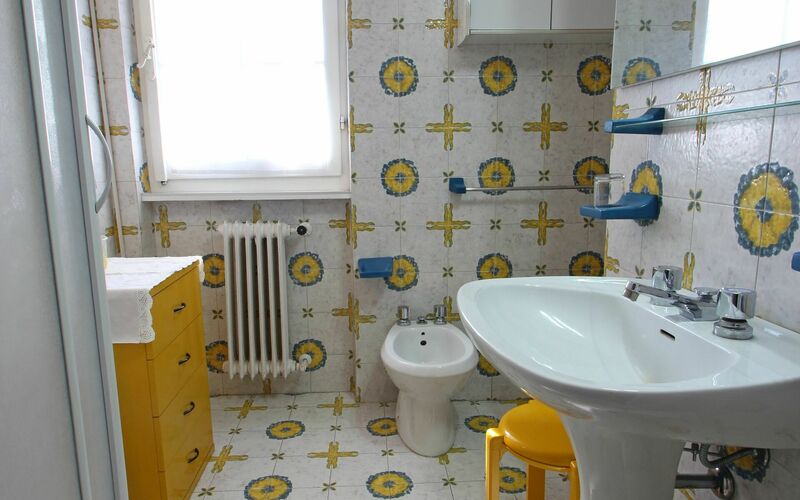 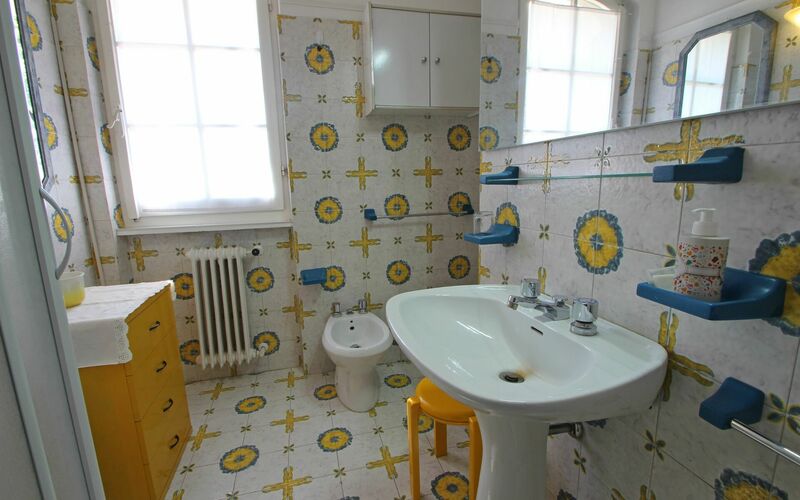 Bathroom with toilet, bidet, basin and shower. 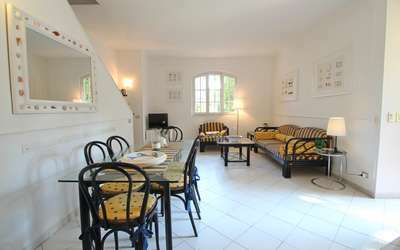 The house is covered by WIFI. 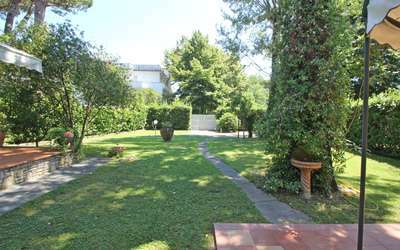 On the rear of the house is the laundry area with Washing machine. 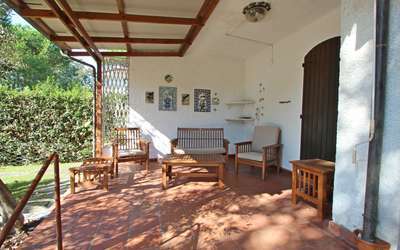 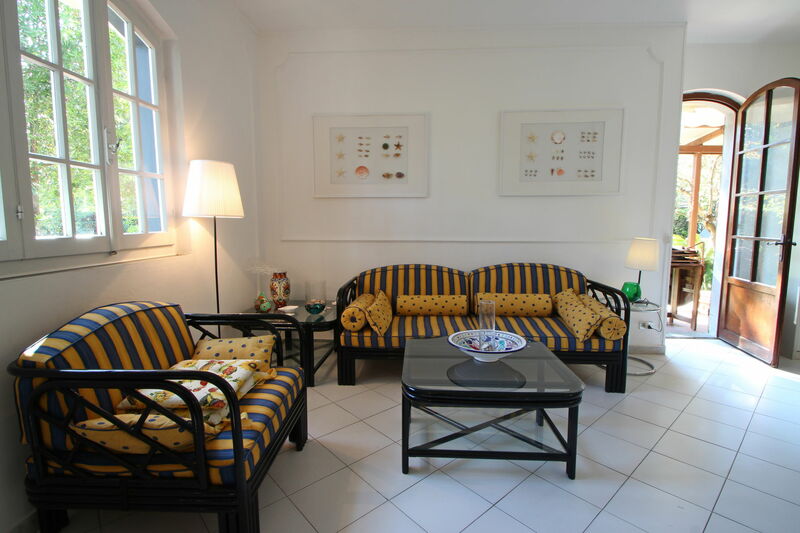 The house is simply furnished but with everything you need for a holiday and at the same time very welcoming. Wir waren sehr zufrieden, jedoch der Anbau mit der Waschmaschine ist "gewöhnungsbedürftig"
Herzlichen Dank das Sie in Unserem Feriendomizil ihre Ferien verbracht haben. Wir hoffen Sie bald wieder begrüßen zu können. Older House, but nice place to stay!